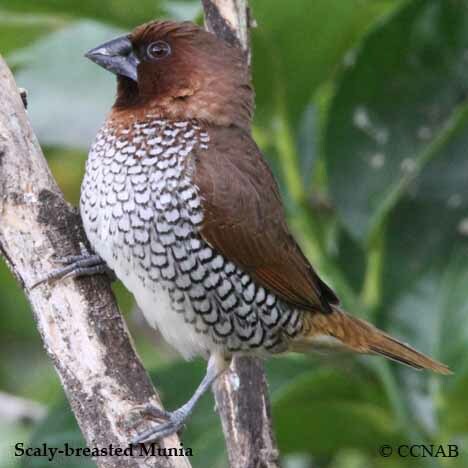 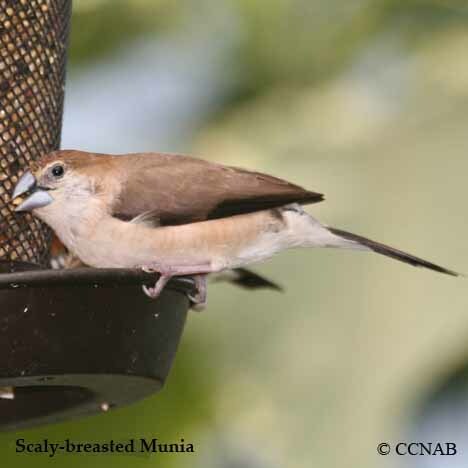 The Scaly-breasted Munia was an exotic bird introduced into the most southern regions of the USA. 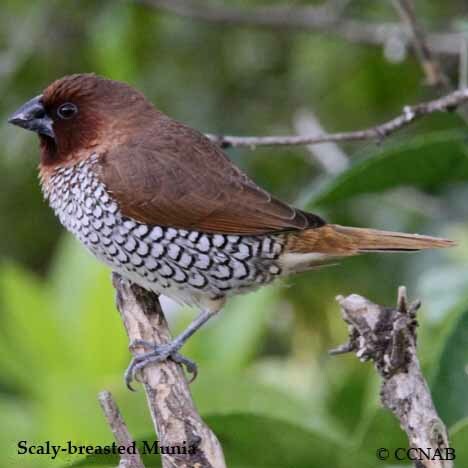 Today the munia has a strong population throughout the southern US borders. 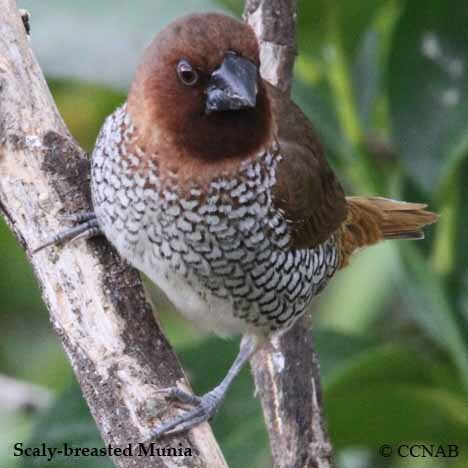 Previous names of this finch-like bird were the Nutmeg Manikin and the Spice Finch. 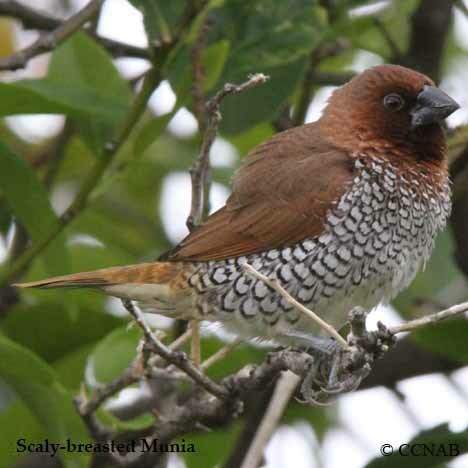 These small brown coloured birds are now seen in the states of California, Texas, Alabama, Mississippi and Florida.